Pregnancy can be an especially scary time in a woman’s life. You’re constantly worrying about the health of your baby and whether or not your pregnancy will make it full term. The good news is that the vast majority pregnancies do make it full term, but that doesn’t lessen the amount of anxiety that you face. It’s easy to become concerned about potential complications during your pregnancy. If you’re worried about the health and well-being of your baby, there are a number of prenatal tests that your physician might recommend. Making the decision about whether or not to have these tests is up to you and your partner. Routine tests. There are a number of common tests that you’re going to undergo during your pregnancy. Blood tests and ultrasounds are the most common, and these tests present no danger to you or to your baby. They are an essential part of monitoring and ensuring a healthy pregnancy. Screening tests. 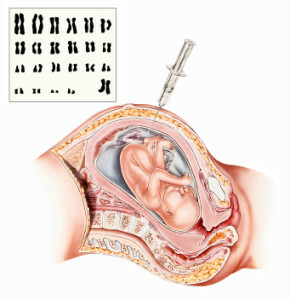 Many tests are designed to screen your baby for potential birth defects or other problems. These tests are often performed as blood tests, and they’re designed to look out for chromosomal abnormalities. Most of these tests don’t pose any difficulty to you or your baby either. 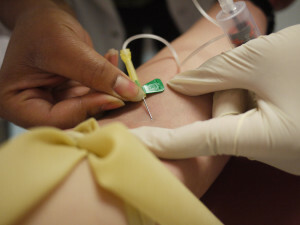 Diagnostic tests. If one of your routine tests or one of your screening tests suggest that there might be a problem, or if you have other risk factors such as age or family medical history, there are more invasive tests that your doctor might want to perform. Some of these tests, such as chorionic villus sampling, do carry a slight risk to you or to your baby, most often in the form of miscarriage. Whether or not a specific test is worth having during pregnancy is something that you need to discuss with your partner as well as your doctor. The risks posed by certain types of tests are often outweighed by the potential severity of the defect that they are looking for.